Quiz: How Well Do You Know the CTA? In recent years the streets of Chicago have been on the road to the White House for the majority of presidential spouses. Who of the following was NOT born in Chicago? If you travel from State Street (0 West) to Ashland Avenue (1600 West), how far have you gone? 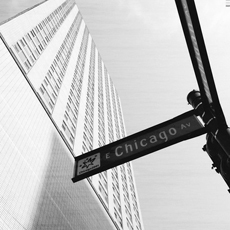 Each of the Great Lakes has a Chicago street named after it. They are all East-West streets except? Which two villages are entirely surrounded by the City of Chicago? Which university is located in Chicago’s Roseland community? Which of these Chicago Public Library locations is actually located in a park? Western Avenue forms the border between the City of Chicago and what suburban town? Most Chicago streets keep the same name for their entire length. Which of the following streets changes its name to Homan Avenue at North Avenue? Chicago is located in two counties. Cook is one; what is the other? Some expressways were initially built by the Cook County Highway Department. Which expressway is named after a Cook County Board president? Which fruit is also a Chicago street name? On the South Side, most East-West streets are numbered. Which of the following numbered streets has been renamed and no longer is known by a number? Most streets in Chicago are very old. Some were even Indian trails. Which of these is less than 20 years old? Which of these boulevards leads to a park of the same name?